You will learn how to create and amend Excel spreadsheets to store and manipulate data which can be used for both personal and business purposes. The purpose of this course is to introduce you to the most important features of Microsoft Excel, to reinforce what you already know about how to use a computer and to build your confidence. By the end of the course you should be able to produce and edit spread-sheets for home and office use. You will also learn about the wide range of uses that spreadsheets can be used for. You should have attended the Starting off with Windows course or Getting more from Windows course, or have a basic knowledge of computers, including the mouse and keyboard. 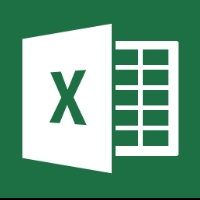 The next course, Further Excel, will extend your skills of the program.